We all know and love store-bought trail mix. But let’s be real: once you eat the peanuts and M&M’s, it’s just a sad, half-empty bag of raisins. Trail mix’s only constant ingredients are dried fruits and mixed nuts, so it can be versatile if you add the right ingredients and flavors. You can transform the classic peanut, M&M and raisin mix to an exotic cayenne, mango and cilantro mix. Check out some of these trail mix recipes that will make you forget all about the store-bought kind. This trail mix is packed full of all sorts of flavors like cayenne, coconut, cilantro, mango and tamarind. Tamarind, a bean used in many Indian and south Asian dishes, adds a sweet and sour taste to this trail mix, not to mention tons of B vitamins and calcium. 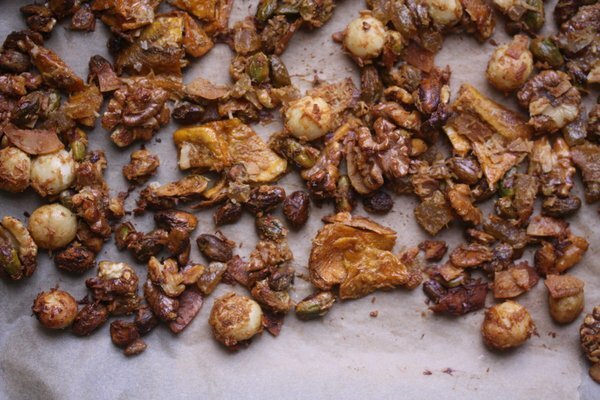 If you’re up for something sweeter, try this trail mix. Few things go better together than coffee and chocolate. This recipe features an ingredient I never would have thought to put into a trail mix: cheese. The cheese complements the tangy fruits in this trail mix well. Dates, peanuts and honey mustard pretzel bits combine to make a perfect sweet and savory blend in this recipe. 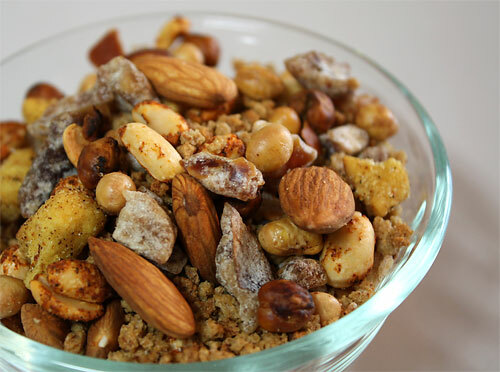 This trail mix is the perfect blend of a classic snack and exotic, tropical flavors.